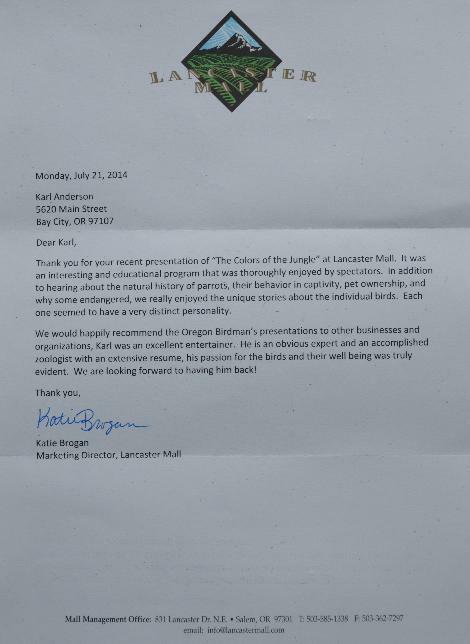 WHAT HAS BEEN SAID ABOUT KARL’S SHOWS? 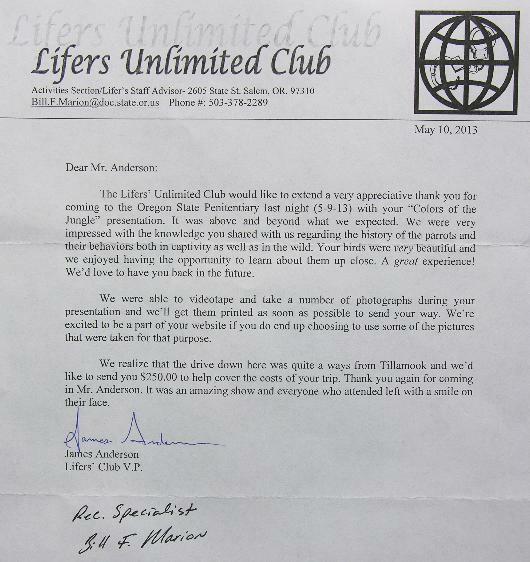 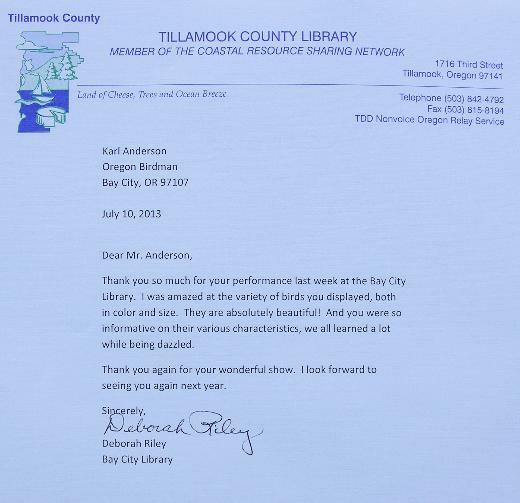 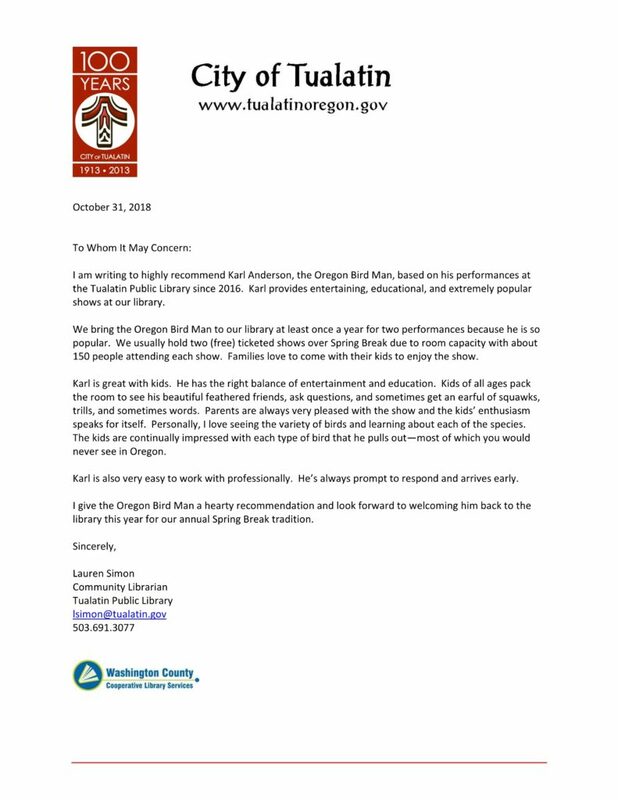 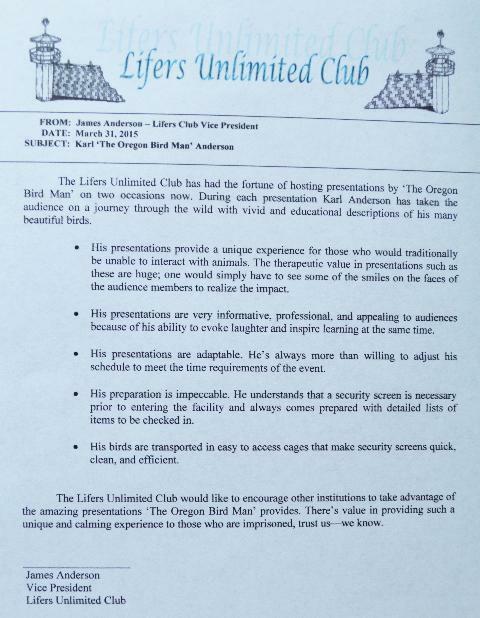 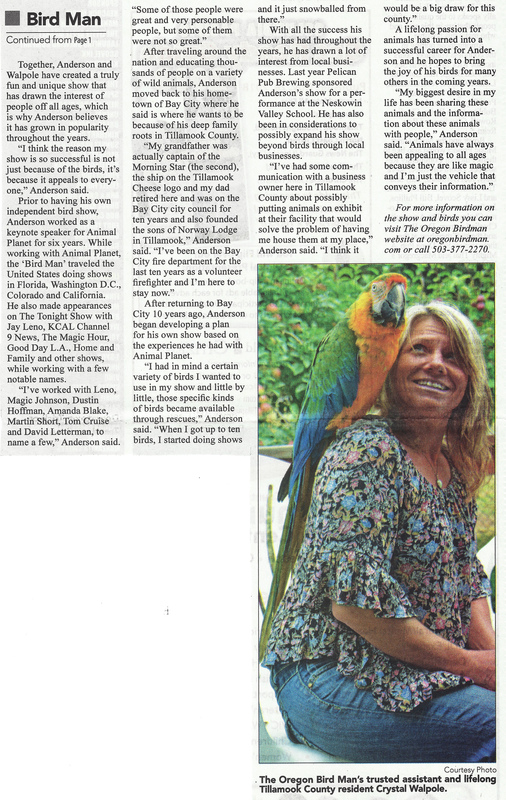 “Your shows…your animals…are great! 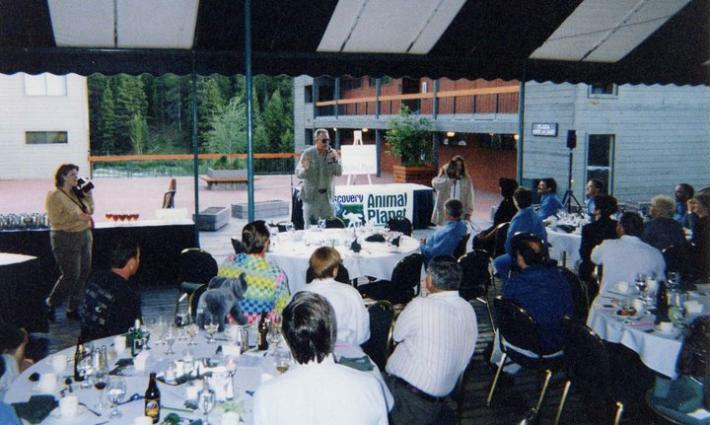 That is why we have you promoting Animal Planet all over the country. 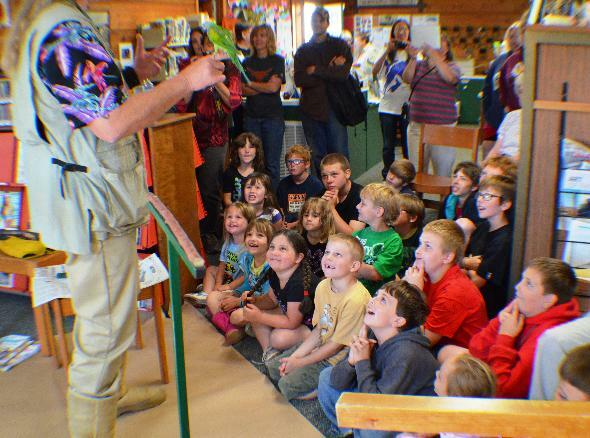 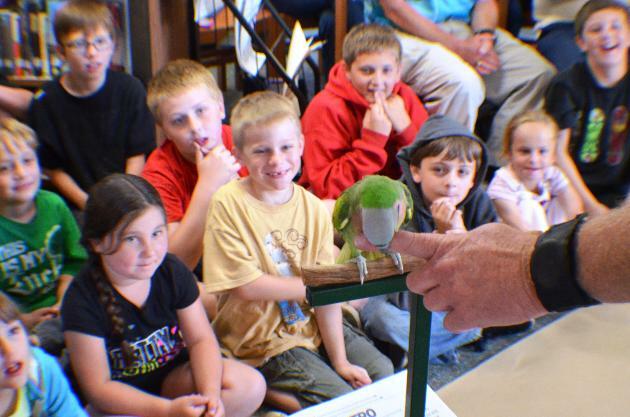 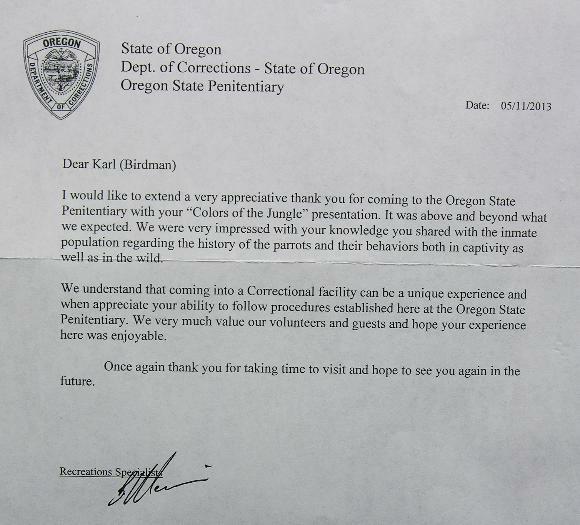 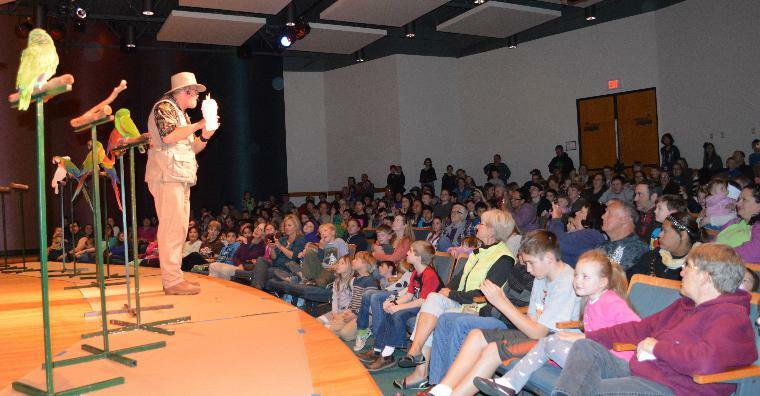 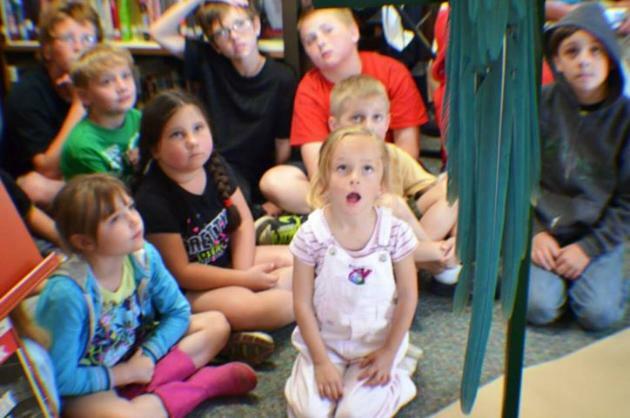 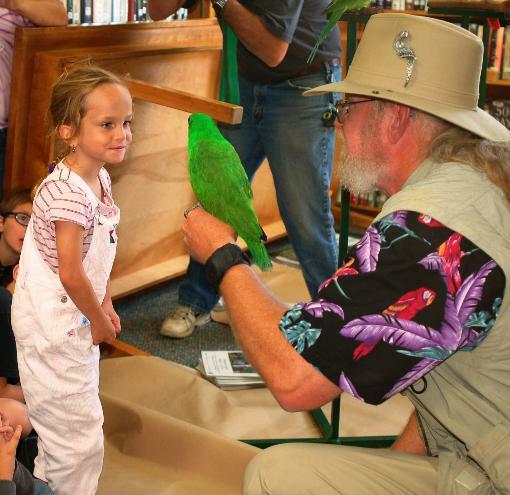 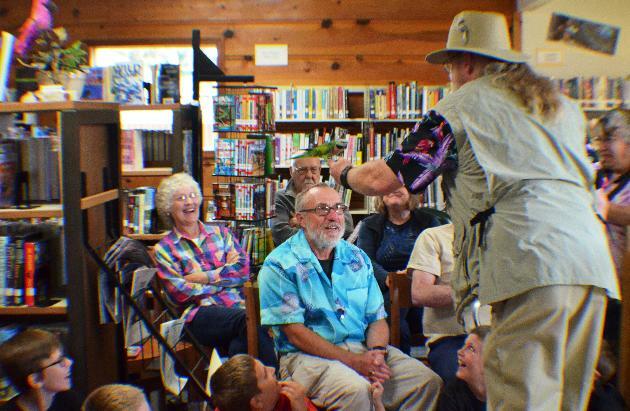 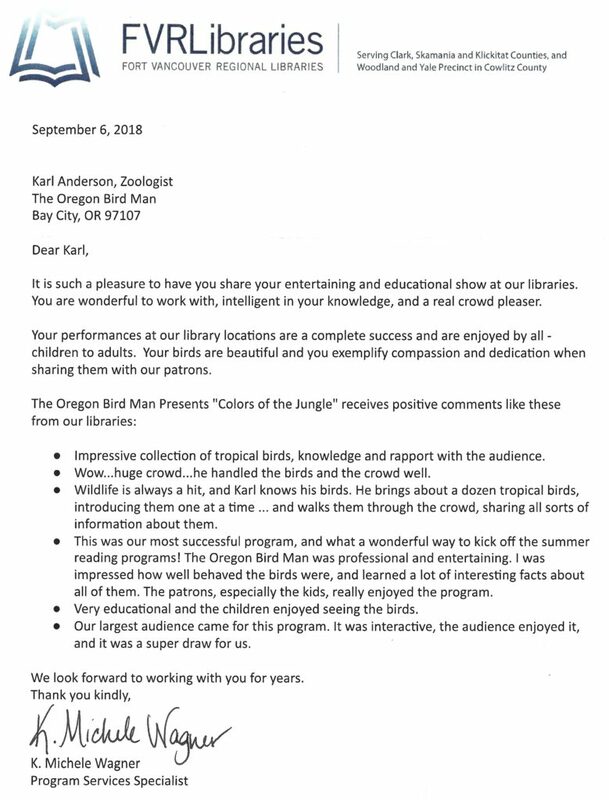 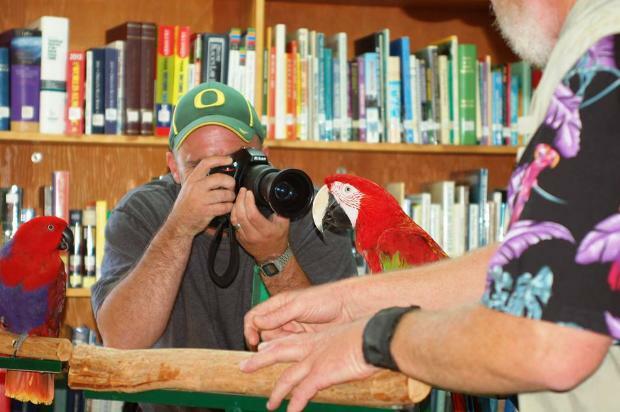 “Thanks so much for your spectacular “Colors of the Jungle” program at the Hillsdale Library! 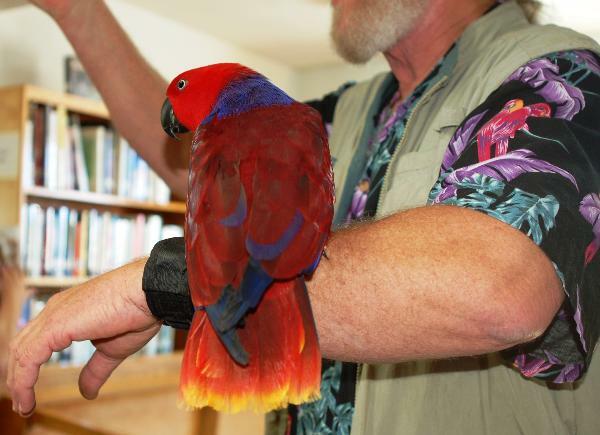 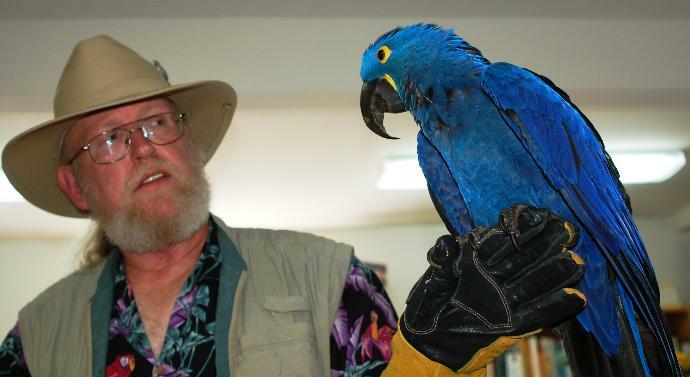 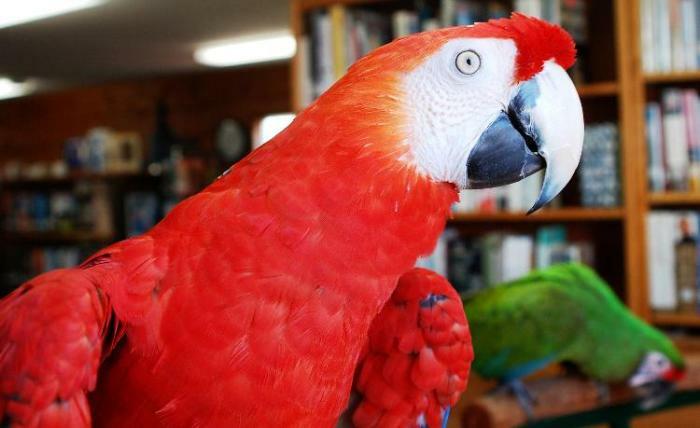 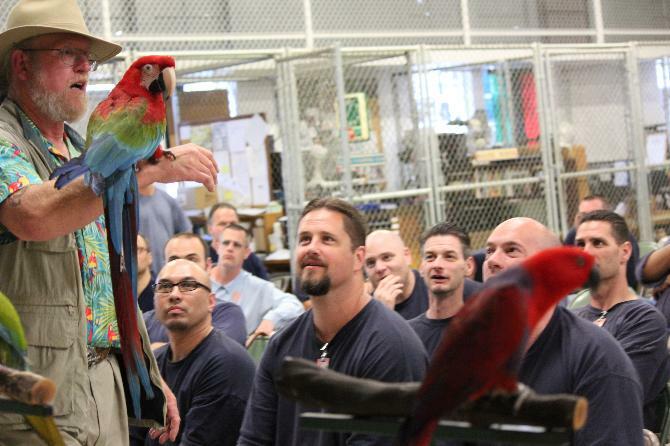 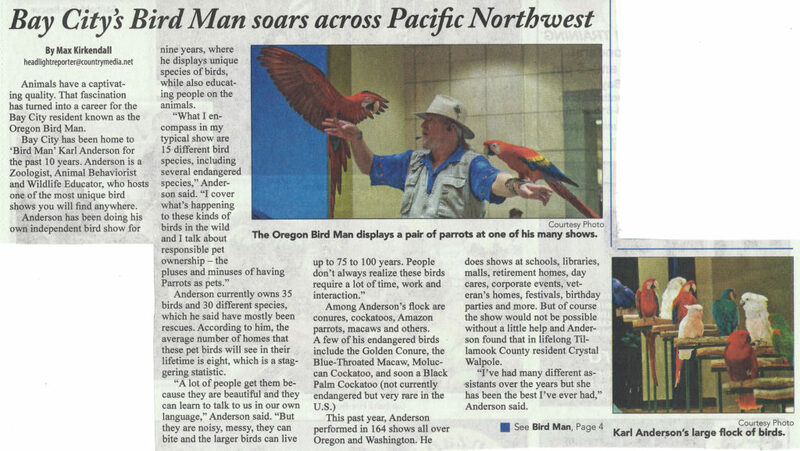 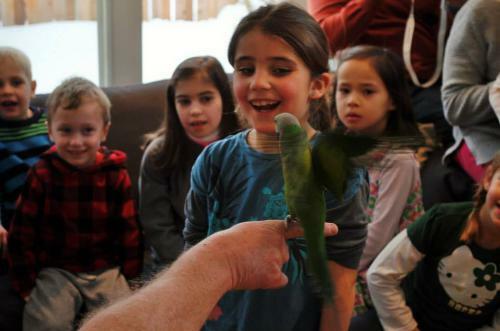 The audience was blown away by the incredible array of dazzling macaws and parrots! 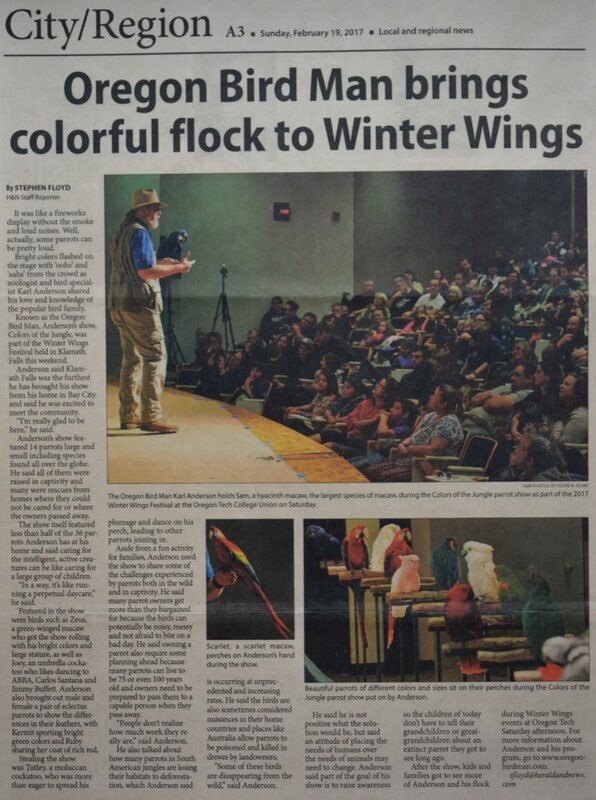 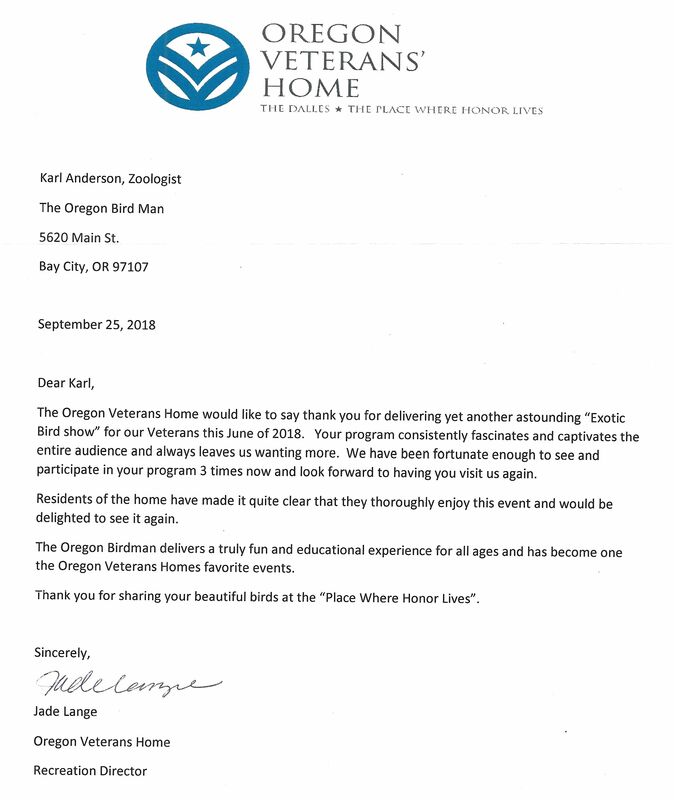 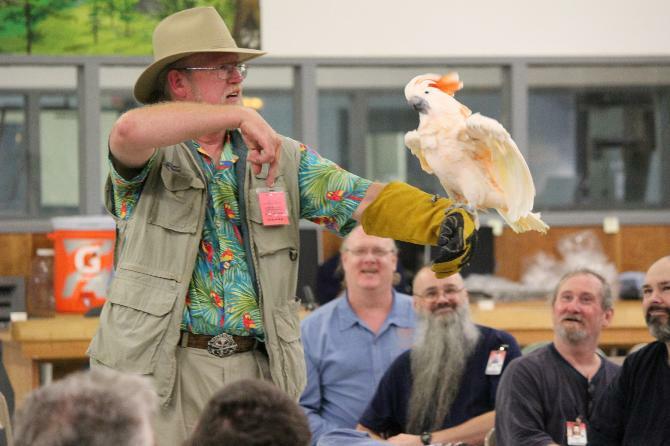 Your enthusiasm and affection for these birds was infectious and the audience was also lucky to hear you impart so much of your profound knowledge concerning these gorgeous birds. 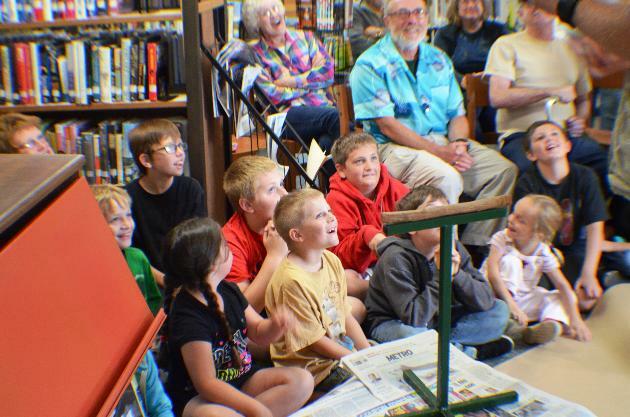 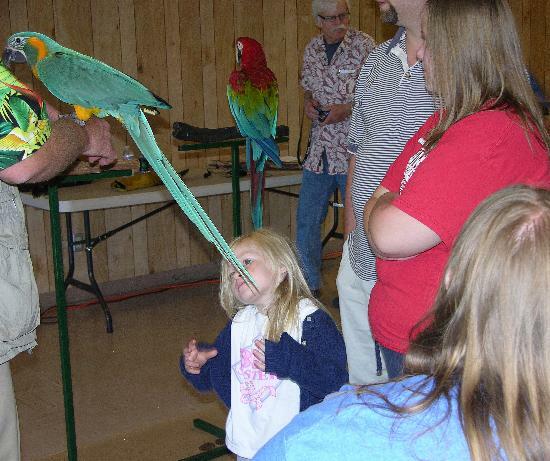 Patrons of all ages were fascinated by your show!